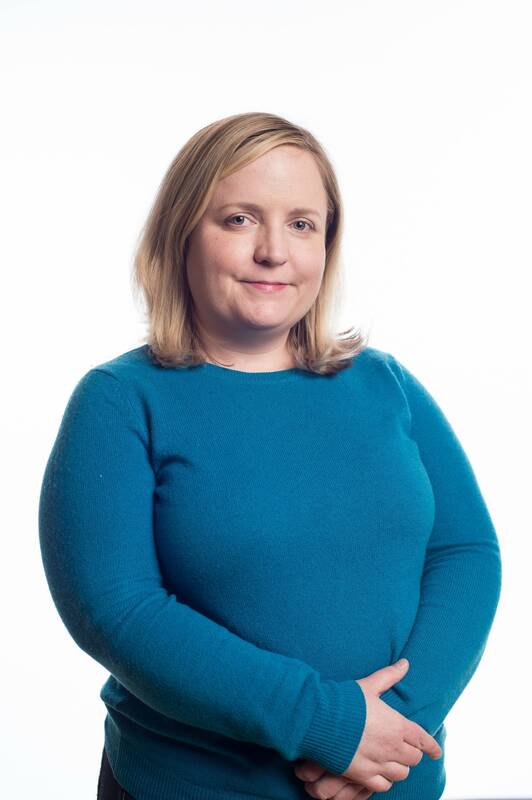 Madeleine Baran: It would be great if you take us behind the scenes of how this works, both as someone who's reported on the court but also someone who's clerked for a Supreme Court justice. I think maybe starting with the decision that the Court made in Curtis Flowers' case, to take this case, to grant cert. What does that process look like? Of the thousands and thousands of cert petitions coming to the court every year, how does the court sort through all of that? Dan Epps: Yeah, absolutely. The Supreme Court has two big roles. It decides cases and it decides what cases it's going to decide. And it actually spends quite a bit of time on that second part of the job, in trying to pick the cases. As you've already noted, they get thousands of these petitions and only grant a very, very small number of them, something on the order of one percent. The certiorari process is unusual because it's one of the few places in law where we tell judges, you have complete discretion to do whatever you want. There's no guidance here. Whatever you want. You're interested in this issue, fine. 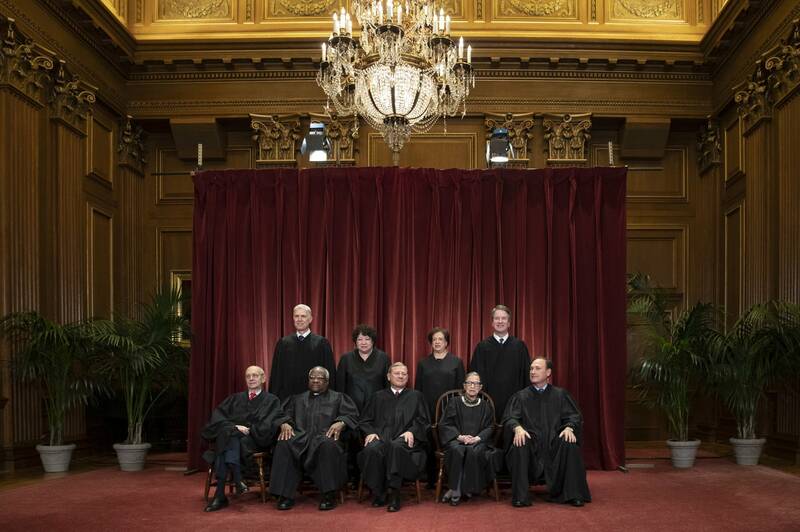 The certiorari decision, formally, is completely discretionary for the Supreme Court. Baran: Okay, so, you've been one of the law clerks who's had to review cases. Baran: And how often would you recommend that a case be heard? Epps: I recommended five grants of cert in my year at the court. Baran: And how many did you review do you think? Baran: So we don't know which clerk gets assigned which petition, right? Epps: Nope. That's totally random. And that's not public. Baran: And then what is the next step in the process? Epps: Then any one justice can put a case on the discuss list. And most of them are not discussed. Most of them don't make their way onto the discuss list, and if that's the case, it just becomes a denied petition. Baran: So what are they discussing when they discuss the case? Epps: Well, I don't totally know because the conferences are secret, and they never let clerks attend them. Epps: Yeah. That's the one thing you're not allowed to do when you're a clerk. The conference is just the justices. And the most junior justice, it's your job to answer the door if somebody knocks and they're trying to give a note to the justices. Epps: There were no appointments to the court between 1994 and 2005, so Justice Breyer was stuck answering the door for 11 years. Baran: No one else is in there, so one of them has to open the door. Epps: Yeah, somebody's got to do it. And the junior justice, you know, on a court of you know octogenarians, the junior justice is often 55 or 60. ... So I don't know what they discuss, but my understanding is that they're talking about the criteria that they typically look for. The most important piece of which normally is, is there a split on a question of law? How important is that question of law? How many people will this affect? Is there something wrong with the case that's going to make it hard for us to take it? The court is looking for conflicts of opinion among the lower courts on important questions of law that affect many, many cases. And the things that they really don't want are fact-bound disputes that are just about one case. But sometimes they take cases because of a desire to do error correction when there seems to be a particular injustice. Baran: But when we look at Curtis Flowers case, it seems like fact-bound would describe his case to some extent right? Epps: It does, very much. And that's what makes it interesting. Given the way the case has been handled, that is why I feel fairly confident he's going to win at the Supreme Court. I'm not going to say it's absolutely guaranteed, but I feel very, very confident. Because this is the kind of petition that wouldn't normally get granted. Now, there's some things that make this case different though. One, it's a capital case. The justices treat capital cases differently, for better or for worse. They take them more seriously. They think that, as well they should, when someone's life is at stake you should be a little bit more cautious. There's even some institutional procedures for treating them differently, formally. And so, in those, they're a little bit more willing to do error correction. Baran: When we talk about error correction, we're meaning what exactly? Epps: I mean correcting an error in an individual case rather than resolving an important question of law that's going to affect a bunch of cases. Baran: So I'm curious, given all of this, why do you think they took Curtis' case? Epps: Well, a few reasons. One, it's a capital case. I think that that helped, honestly. This is kind of weird thing to say, but in some ways, being able to come into the court with "capital case" on your petition... it doesn't hurt. Those just get that extra layer of scrutiny. The court also has paid attention to racial discrimination in capital cases. Even some of the more conservative justices have indicated that they're troubled by this. And so, if you come into the court and you can have a credible claim, particularly if you're an African-American defendant who suffered racial discrimination in a capital case, your odds of getting your case granted are a little higher. Still not great. Baran: So let's get deeper into the case. This is the conviction from Curtis Flowers' sixth trial. He appealed his case, and the state Supreme Court did not rule in his favor. Curtis appealed to the U.S. Supreme Court. 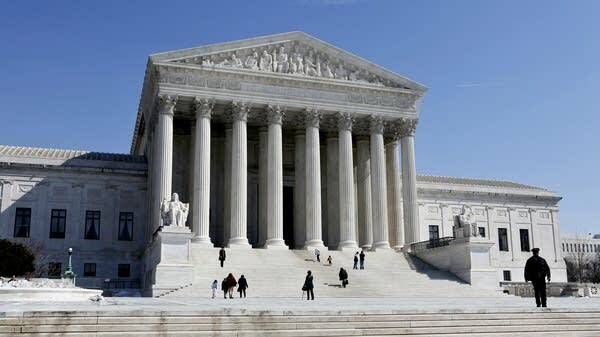 The U.S. Supreme Court sent his case back down to the Mississippi Supreme Court, asked that court to reconsider its decision in light of this other case, Foster, this other jury selection case. The state Supreme Court decided that it agreed with itself, basically, that it was going to affirm the conviction once again, not overturn it. And then Curtis went back up to the U.S. Supreme Court which is where he's at now. So given that history, what do you see in there as significant? Epps: So, the fact that it's come up twice, I think, matters. The first time, it's up, it's considered and then there's this big gap in time. It's distributed for conference in November and then it sort of goes into radio silence and then it's distributed for a conference in May. What's happening there is the case is being what we call "held." Often when there are cases that have been granted and selected for oral argument, and there are other cases that raise the same or similar issues in the pipeline, the court will say let's just put this on the hold list. Baran: So Curtis' case goes up the first time... the court holds it because it's considering Foster. And then when the court decides Foster, it's a 7-1 decision, so it's not even close. When the court sends it back down to the state Supreme Court, what do you think the court really wanted the state Supreme Court to do? Epps: So these "grant, vacate and remand" orders as they're called, they're sort of the underbelly of the court. They're sort of this secret weapon the court has that doesn't get a lot of attention. The normal thing you're supposed to use them for is, let's say, there is a split on an important issue of law and you've got a bunch of cases that decide the issue one way and some that decide the issue the other way. The court picks a side. And then the cases that went the other way, the court should say "Hey, lower courts, we pick the rule. Fix your case." Baran: So the hint here is: reverse it, overturn the conviction? Epps: Yeah. And the reason that seems clear is because Foster is itself a very fact-bound case. It is not really a case that's radically breaking new ground and declaring a new rule. It's a case that's very much about the particular details of that case, these notes where the prosecutor or whoever had marked out all the black jurors. And you have this dissent on the GVR order from Justice Alito who's like, "This is ridiculous, this is not an appropriate use of GVR. We should only be using this if we've really changed something that's meaningful. Here, basically, what we're doing is telling the Mississippi Supreme Court just to sort of have a do over, and we hope you reach a different result." Which, I think, is fair. Epps: For the more liberal justices, in this particular context, I'm not actually sure we need to disaggregate them that much. So Justices Ginsburg, Breyer, Sotomayor, and Kagan ... on a case like this, I'd be shocked if they're not all on the side of Curtis Flowers. They have different judicial philosophies in some ways, but ideologically they're more liberal, they're generally more favorable toward criminal defendants, they're concerned very about racial discrimination, they're concerned about injustice in the criminal justice system, all that stuff. And it's all going to push in the same direction here. There's not going to be a big countervailing argument for them. All the forces for them are going to be pushing in Curtis' direction. Justice Breyer is sometimes a little bit more conservative. But, in this case, I don't see that. Baran: Okay, so you've basically put them all on one side in this case. So what about Justice Alito? Epps: So Justice Alito... to people who care a lot about criminal justice and are often on the defendant's side, he's kind of like a super villain. He's very smart. He's a very good writer. He's a former prosecutor. And it is pretty rare for him to vote for criminal defendants. Extremely rare. That said, he wrote the decision in Snyder about 10 years ago. So he wrote a pro-defendant Batson decision. Baran: Right, one of the cases that was overturned because of Batson, by the U.S. Supreme Court. Epps: Yeah. And that's one of his more against-type votes. It's possible that he did that to write the decision in a way that's more narrow than if a more liberal justice had written it. But I do think that even some of the more conservative justices on the Supreme Court on criminal justice issues, even they can be more bothered by some of the real, kind of, explicit racism. Baran: So if you're the state, Alito is someone that in oral arguments you really might want to try to convince. Epps: Well, the thing is, I think that they might have already convinced him because, remember, he dissents on that first GVR, the earlier GVR in 2016. So he's already in the case a little bit. Baran: He's already opposed to sending it back down to the state Supreme Court. Epps: Yes, he was opposed. Now technically, he's just opposed on procedural grounds, because he doesn't think it's the right use of a GVR order. That said, he's already kind of dug in on the case. And so, in this case in particular, Snyder notwithstanding, I might not feel super confident in his vote for Flowers. Baran: Okay, so let's talk then about Gorsuch. Epps: Gorsuch is very ideologically rigid, and we're still getting more information about him, but I've been surprised with just how often he has voted with Justice Thomas on things. There's some cases where he's not with Thomas, but I would not feel super confident in his vote here for Flowers, but not certain either. I think I might peg him somewhere around where Alito is. I think he's maybe gettable, but I'm not sure. Baran: So we might say there are four votes for Curtis and two votes against, if we had to if guess it at this point. Epps: Yeah. If you had to put people in a box, that's what I'd do. 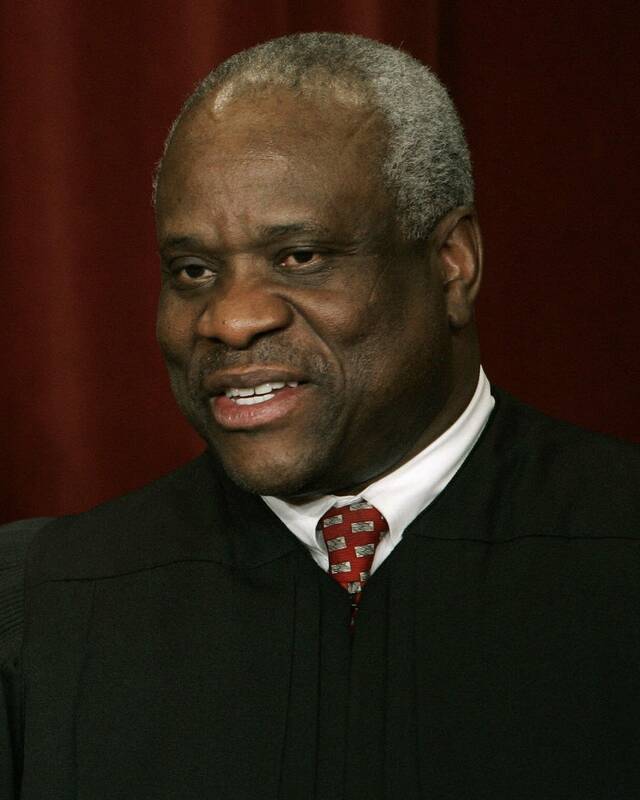 And I would also put Justice Thomas in the against Curtis box. 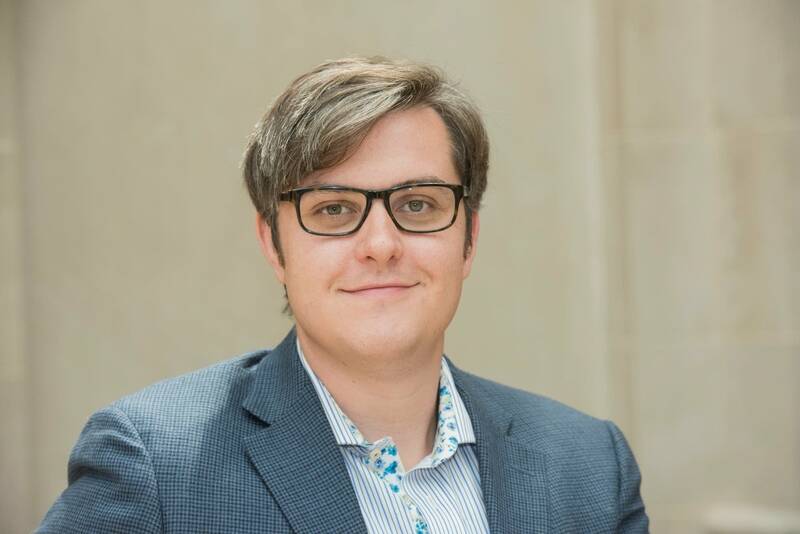 Baran: Okay, so Clarence Thomas who tends to be the person — in other Batson cases as well, almost never it seems to find a concern about Batson — is unlikely to find one here. Epps: Yeah. He dissented in Foster. Baran: Right, the only justice who dissented. Epps: Yeah, and he is just extremely conservative. And I think that the facts of this case in particular, putting aside the bigger picture stuff and all the investigative work you all did, but the facts of this case in particular, there's slightly less of a smoking gun than there was in Foster, where we have these notes that are just like "no black jurors." And so if that's not good enough for him, I don't think Curtis gets Justice Thomas here. Baran: Okay, so that's four for Curtis, three against maybe. So what about the newest justice, Justice Kavanaugh? Epps: So, Kavanaugh is interesting. He's a little bit of a wild card. He's starting off from a baseline of being pretty conservative, but maybe slightly less conservative on criminal justice issues. I've looked at some of his opinions more generally in criminal justice and he's not always a reflexive vote in favor of the state. Baran: We have less of a body of work to even make an assessment of what he might do. Epps: Yeah. My initial sense of him is... so, a couple of things. One is that he might be more conservative on some things, less conservative on other things, but maybe a little bit less rigid ideologically than Gorsuch. Sort of, more willing to just say, as a matter of common sense, "This stinks. Right? I don't like this. Like, this bothers me." Whereas, someone like Justice Thomas or Justice Gorsuch, at some level they sort of treat law like this algorithm, you just have to crunch out the rules and that'll tell you the answer. There's not any room to just be like, "Come on, come on. This is ridiculous." It's a little too soon to say, but I have an instinct that he's just a little bit more willing to do that, to just be like, "Come on, this is ridiculous." And the other thing about him is, he's someone who cares a lot about his reputation for fairness and being open-minded, and he was friends with people on both sides of the aisle. I mean, he went through this confirmation process where he acted partisan, but he cares about his reputation. And he might be looking for opportunities to not look like a partisan. Baran: So if he voted against Curtis, then that would bring us to four in favor of overturning and four against. Then it's split. And then it would be John Roberts' decision. What's your feeling about him on this? Epps: He seems bothered by racism in the criminal justice system, particularly with respect to capital cases. He wrote Foster, which we talked about a minute ago, and he also recently wrote a case called Buck v. Davis, which is a different capital case involving a defendant who had an expert who said some racist things and then they ended up overturning the capital sentence on those grounds as well. Baran: And so, for people who don't know the significance of being the one to write the opinion, can you explain why that's important? Epps: It's particularly important for the Chief Justice whether he wrote an opinion. That's because the Chief Justice's power on the Supreme Court... you don't get extra votes, but you have the ability to choose who writes an opinion if you're in the majority for that opinion. And so, anytime the Chief Justice writes an opinion, he chose that case himself. He said, "I want that one. I'm going to take that one. Of all the cases I could take this month, that's the one I want to write. I care about that." Baran: So when he made that decision in the Foster case, which is another Batson jury discrimination case that was overturned, what does that tell us? Epps: Well, it tells us that he cared enough about it that he wanted to write it. And that's not a particularly fun opinion to write if you're a Supreme Court justice. It's work, right? That opinion is hard, because you have to kind of dig into the record and talk about the particular jurors. It's kind of a longer opinion than some. You don't get to have a lot of fun wordplay. It's kind of like a grind. And so, you're taking that opinion for a reason. I don't know whether it's because you think it's important to send a message about the impropriety of this kind of racism, whatever. He thought it was important enough that not only did he vote in favor of the defendant, he was going to be the one to write the opinion. So he thinks it's important, he cares. That's my sense. 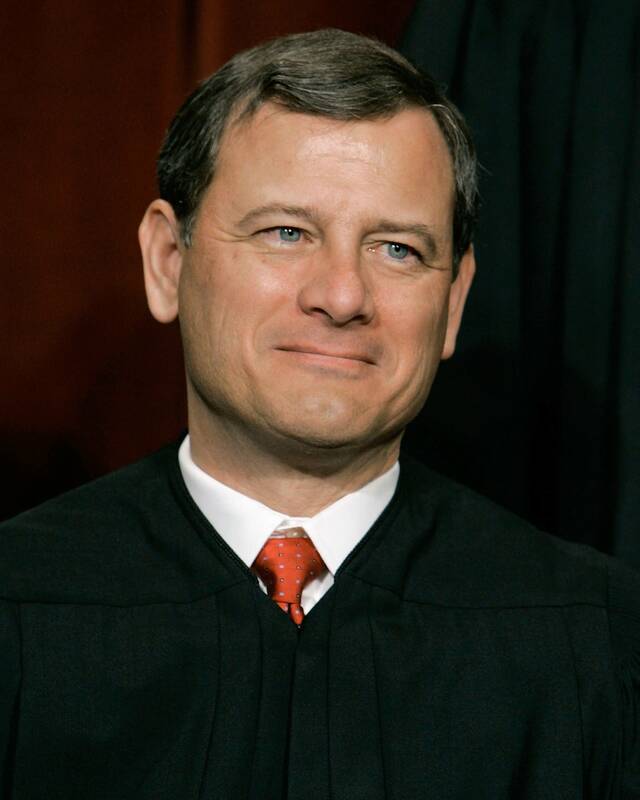 Baran: And so, for people who are thinking, "But Justice Roberts, he's a conservative. He was appointed by a Republican," that might not be the best way to look at it. Epps: I'll say, in general, the party of the president who appoints you matters more in Supreme Court litigation than I think it should. Like, in cases that are highly ideological it matters a lot. But not every case. And sometimes people vote against type. So it doesn't tell you the whole story. But this case is not going to be solely dictated by party affiliation. And the Chief Justice in particular, he has more of that streak I was talking about a second ago of, you know, just kind of common sense like, "Come on, this is ridiculous. Like, I don't like this." Sort of letting that control some of your decision-making rather than just this really kind of rigid, formal, doctrinal, algorithmic approach to the law. Baran: So he could be ... you've got the four more liberal justices ... and it sounds like you think Justice Roberts could join them in overturning. Epps: He is definitely, in my view, the most likely of the conservative justices. I would have Kavanaugh come after that. Baran: And Curtis only needs one of them to win. Epps: Yes. Assuming I'm correct about my supposition about the liberal justices, which I feel reasonably good about. Let me put it this way, it is hard for me to imagine a universe in which any of the conservative justices votes for Curtis and one of the liberal justices does not. It's hard for me to imagine that universe. Baran: As a strategy going into it, if you're Curtis, you don't need to convince Gorsuch, and you might very well not. You're really targeting, it seems like, Justice Roberts and maybe Kavanaugh, and then maybe, who knows, Alito might go in your favor as well. If you're the state then and you're looking at this, what is your strategy? Epps: Really, I think, just to kind of muddy the waters. You kind of just need to fight to a draw almost. You just need to convince them that this is factually complicated enough and unclear enough that it's not worth it. On some level you don't need to convince the court that everything here is great. You just need to convince them that there's not enough that they can say, "We disagree with all the factual findings that were made below." Their argument is going to be about going over each point rather than big issues. Because the court has very clearly said, "We don't want big sweeping issues here. We're just trying to figure out whether this lower court decision was wrong." Baran: So if they don't overturn Curtis Flowers' conviction, would that affect other Batson cases? Epps: It really depends on the language of the opinion. If they say, "Here's what all our cases have said. We are sticking with the exact way in which we formulated the standard and we think, in these particular facts, there was just not quite enough here to justify overturning the lower court factual findings." That doesn't obviously affect that many other cases. It does send a signal that maybe you can get away with this stuff. But some of the things that make the case troubling, not all of those things are strictly relevant to the Batson inquiry. So the six trials, the court is only going to see that as directly relevant to the extent that there were the previous Batson violations that were found in some of them. Baran: Right, because Batson is getting at the intent of the prosecutor and if he's lied to the court twice then it might be a little suspicious. Epps: Yes, and that seems directly relevant. And so, it would particularly affect cases like that. I think it would not be good for the capital defense bar for the court to do that. But there's different ways you could write an opinion affirming a judgment. You could write an opinion saying, "No scrutiny. Just as long as the prosecutor says some reason, that's fine." That would be really bad. Baran: And so what actually happens during oral arguments? Like what should we expect in this case in the most basic terms? Like what is an oral argument? Epps: At the Supreme Court, it's 60 minutes usually. And you have the petitioner's side, in this case Curtis, they have about 30 minutes of time. And usually you talk for 25 minutes and then you save a few minutes for what's called a rebuttal at the end. Then the other side will come up, talk for 30 minutes, and then the petitioner will come back and do a rebuttal. During that argument you're not just giving a speech. It's not a speech at all. You start off with sort of a speech. You start with your case, you say, "The Supreme Court of Mississippi seriously erred when it applied Batson for the following three reasons..." You start giving your speech and then Justice Alito will say, "Counsel, but what about this juror? I really found this persuasive and what you say in the brief is this, but what about this hypothetical?" And they're all just trying to figure out the case. Sometimes you can tell they really know what they think and they're just trying to trip up the advocate. Sometimes they know what they think and they're trying to speak to their colleagues. They're trying to sort of argue with their colleagues indirectly. And sometimes they're really just trying to figure out what the right answer is. Baran: And at the point of oral arguments, do you expect that they would not have made up their mind by then? Epps: No, they really won't have. The oral argument really is the focal point. They will all have read the briefs going into the oral argument. But they will not have ever met as a court to talk about the merits of the case itself. They will have met to talk about the petition at an earlier stage, but they will not have met and said, "Who do we think should win?" They just don't do that at this stage. They will have read the briefs, they'll have instincts, but they may be still figuring it out and they could come into the argument with a totally open mind. Or they could come into the argument completely convinced as to what could happen. And we can get a lot of information from how that argument goes. I will know a lot more about what I think is likely to happen once I get the transcript of that argument. Baran: And then after the oral arguments, what happens? Epps: So there's always a conference to discuss the case. And the thing that's interesting about the Supreme Court is they don't conference the day of for any particular case. They always give it at least a day or two to let people sit and think about it. And then they'll conference, they'll get together and they will vote. And you go in order of seniority. So the Chief Justice will speak first and then, I guess, it's Justice Thomas who is now the second most senior justice. And they'll each stake out their position and there's sort of a norm that each person talks once before anybody else talks twice. Sometimes they will debate it at length, but often they'll just say I think this and then they figure out who's winning. And let's say it's a 6-3 win for Curtis and the Chief Justice is on the team, the Chief Justice will then assign the opinion to somebody a few days later. The Chief Justice will send out a memo for all the cases that were argued in that two-week sitting, assigning the opinions, sort of doing a complicated Sudoku game, or saying this person writes this, and this person writes this, and this person writes this. That justice will then go start drafting an opinion, drafting a majority opinion. Maybe somebody else will start drafting a dissent, if there is a dissent. Those opinions will then get circulated, some number of weeks after the argument inside the court. Some justices will say, "I join your opinion." And some will say, "I really like this, but this thing you say in footnote twelve, it's really problematic, can you change it?" Someone could say, "I agree with the result. I don't like the opinion. I'm going to write my own concurring in the judgment opinion." There's a range of things that can happen, but they get it sorted out. They debate it. They pass memos around. They keep revising the opinions until, eventually, you get to a point where everyone else is happy, or satisfied at least, with where they're at. You've got a dissent, you've got a majority, you've gone through multiple drafts, it's ready to go. And then they set it for release. And when the Supreme Court hands down a decision, it always does it in open court. Sometimes they do it when they're hearing oral arguments beforehand, but oftentimes they do them in what are called "non-argument sessions" where the court meets and they say, "We're here to hand down decisions and Justice Breyer has our opinion in Flowers versus Mississippi." And he won't read the whole opinion. He'll read what's called a bench statement that sort of says, for these reasons, here's why we think Flowers should win or the state should win. Baran: And then that opinion will be published? Epps: That opinion will be published on their website essentially simultaneously with that announcement by the justice in open court. And then, depending on the what the judgment is ... if it's affirmed, it just ends the case, the case is over at that point. The direct appeal at least is over. If it reverses, it gets kicked back down. Baran: And there's no announcement that it's about to be released? Epps: No, they will not say in advance which opinions are coming out. They will sometimes say, "We may be releasing opinions tomorrow. Press, you may want to come. They won't say which ones." Baran: The court is an amazingly secretive institution for being the U.S. Supreme Court. Epps: Yeah, and they really don't think they have any obligation to explain themselves. I have this love/hate relationship with the institution. I think a lot of things are cool about it, but they have a lot of power and they just don't seem to realize that they have some obligation to tell people what they're doing. I mean, they like to surprise us. And it's a great thing. Being a Supreme Court pundit is like being the weatherman. I mean, you can be wrong all the time and you keep your job.